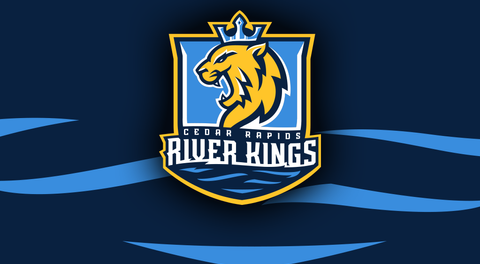 Phoenix, Arizona - The Cedar Rapids River Kings (0-2) dropped their second game of the season to the 2018 IFL United Bowl runner up, the Arizona Rattlers (2-0), 81-37. This is the only time that Cedar Rapids will travel to Arizona this season. The River Kings were led on offense by Kurt Palandech and Nate Chavious. Palandech went 15-27 with 114 yards and two touchdowns. He added a pair of touchdowns on the ground before backup quarterback Ben Wilkerson finished the game. Chavious rushed 16 times for 89 yards and a touchdown. Marquel Wade and Chavious led the River Kings receivers. Wade brought in five catches for 41 yards and a touchdown, while Chavious added six catches for 36 yards. Henry Nell had a season-long field goal from 50 yards out. He went 4/4 on PAT's and 3/6 on field goal attempts. Arizona had no trouble moving the ball on offense. 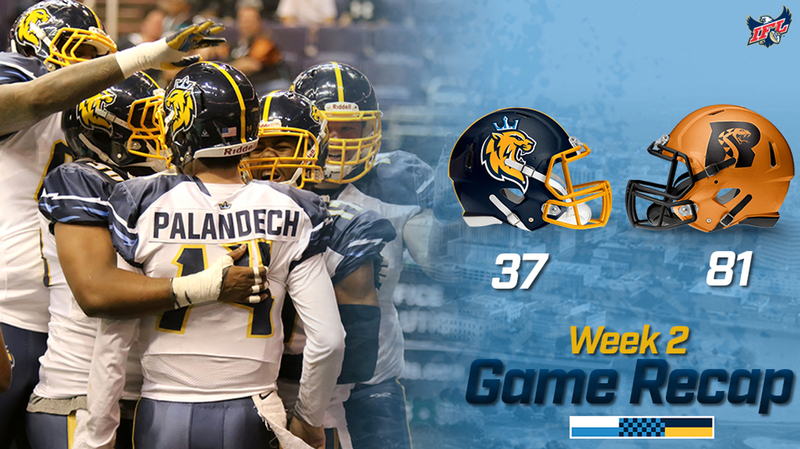 The Rattlers racked up 359 total yards despite only have the ball for 19 minutes less than the River Kings. Quarterbacks Verlon Reed Jr. and Jeff Ziemba combined to go 8-10 for 195 yards and five touchdowns. Reed used his feet efficiently as well, racking up 44 yards on just two carries. Neither quarterback was sacked. Malik Slater led the River Kings in tackles with 7 total. Travonti Johnson added four while Damante Horton had three. Jabre Lollery had a banner day for the Rattlers as well, earning 87 yards on just ten carries and finding the endzone four times on the ground. He added 70 yards receiving on two catches and two touchdowns. The River Kings return home this coming Saturday, March 9th, as they host the San Diego Strike Force. Tickets are available online or by calling 319-382-9338.